DX2 DIXIDOX+AMINOPYRIMIDINE TREATMENT PHIALS is a hair loss shock treatment that acts over all kind of seasonal hair loss and alopecias, stoping hair loss in ten days. The DX2 DIXIDOX AMINOPYRIMIDINE molecule excites the production of new cells from the hair matrix. 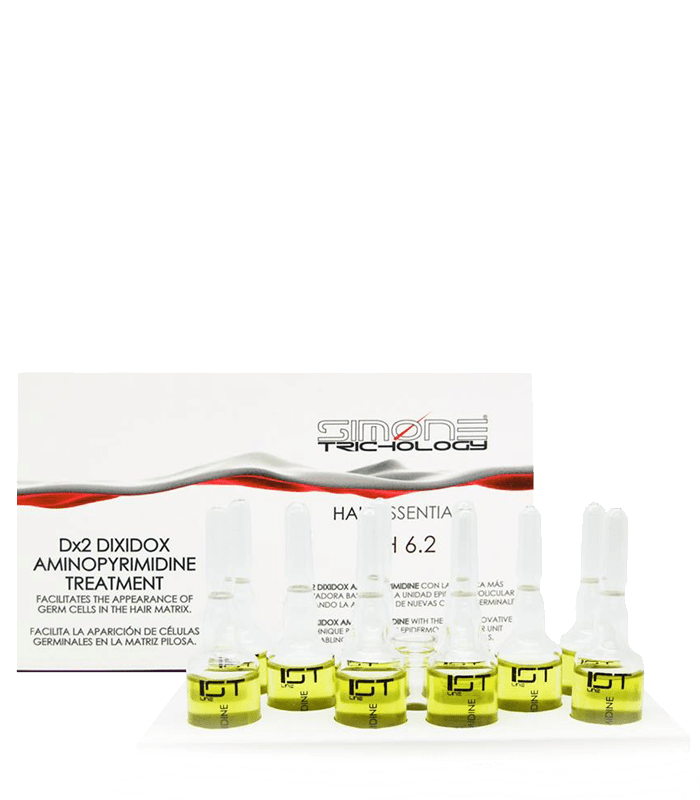 SIMONE TRICHOLOGY DX2 DIXIDOX+AMINOPYRIMIDINE TREATMENT PHIALS is a hair loss shock treatment that acts over all kind of seasonal hair loss and alopecias, stoping hair loss in ten days. Apply SIMONE TRICHOLOGY DX2 DIXIDOX AMINOPYRIMIDINE TREATMENT PHIALS every days after wash the hair with PREVENTION HAIR LOSS SHAMPOO and HAIR´S NUTRIENT ROYAL JELLY SHAMPOO during 90 days.